Trolley’s are OK but somehow getting out and seeing the city is just an experience in itself and offers a chance to explore venues and areas that may otherwise be missed. You may be surprised with all of the offerings and entertainment options you are missing in the Kansas City areas! The sought after area of the Power & Light District is a great Kansas City attraction – but it’s the lesser known areas of the Kansas City off-the-beaten path neighborhoods’ that has won the hearts and captured the attention of the locals and exceptionally talented artists. 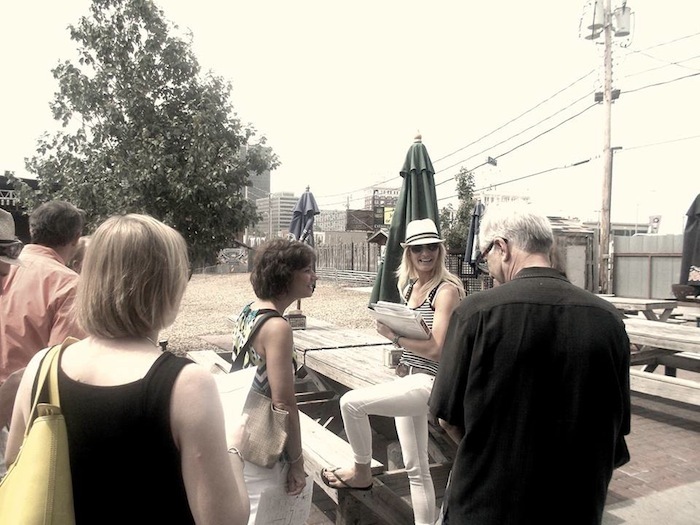 TOKC helps tourists and natives get off the beaten track and explore the many offerings of culinary, entertainment options, and venues this community has to offer. 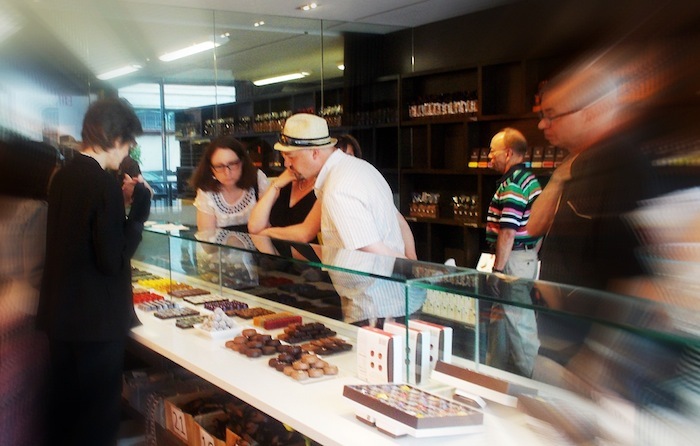 Taste of Kansas City Food Tours has scoured the city to find the best “mom and pop” restaurants, one-of-a kind eateries, and specialty shops that would fulfill your deepest “foodie” craving. From a Philly pizza; house made frozen cocktails to a gastronomic delight of sweet Thai noodles and beignets; our food tasting tour will have you covered. Your Taste of Kansas City Food Tours can be summed up in one word. Local. Local guides, local foods, local history. TOKC is committed to supporting the local, independently owned and operated Kansas City businesses. All of the food enjoyed on the tour is paid for by TOKC as part of fostering and building community relationships. If you are hungry and open to discover new tastes, and willing to venture down gallery lined, artistically driven streets to savor some hidden new restaurants and other seriously delicious food finds that celebrate the mix and culture of the Crossroads, then this is the tour for you. While we offer frequent opportunities to rest and sit down, our 3 hour Walking Tour covers 1.5 miles. If you don’t like walking or can’t walk this distance we don’t recommend our tour. We choose our tastings to represent the location we are visiting and that represents a variety of foods and flavors. While it seems obvious – if you don’t love trying out new foods, our tour is more than likely not for you.